Willoughby Junior Australian Football Club Inc., the Wildcats, provides the opportunity for all boys and girls between the ages of 5 and 17 to play and learn AFL. The Club offers an environment where every player is encouraged to learn football, develop their skills and fitness, participate in the premier team game in Australia and make lasting friendships. Most of all, the Club’s players play for the fun! The Club’s teams play in the Greater Sydney Juniors competition on Sundays in winter. The Club’s home ground is Gore Hill Oval, Pacific Highway St Leonard’s (in front of Royal North Shore Hospital). 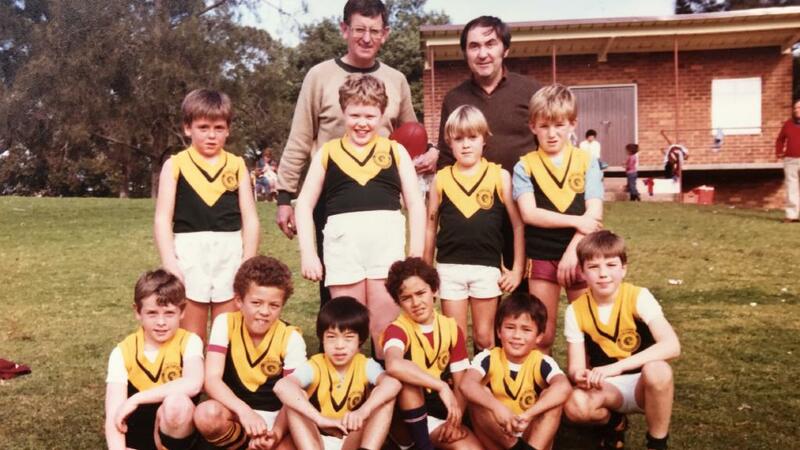 The Club’s teams wear green and gold jumpers, green and gold hooped socks and black shorts up until age 12. In 2011, the Willoughby Junior Football Club and Mosman Junior Football Club decided to put joint venture (JV) teams in place for the older age groups. The clubs believe the ability to field between 2 to 3 teams across the divisions in each age group provides the right levels of competition for the varying levels of talent, and contributes to both clubs objective to maximize the number of juniors playing AFL. We also believe this joint venture can provide more focused development of our playing group and closer link and pathway into senior AFL football. JV teams exist for the Under 13 – Under 17 age groups. The teams are known as the Willoughby Mosman Swans and play in red white and gold jumpers. If you would like to know more about the Willoughby Wildcats or join us, then do not hesitate to contact any of the officials whose names appear on the Club Contacts page. The Club Song is sung to the same tune as the mighty Richmond Tigers song. Want to know what the Wildcats are all about and how we approach the development of our game and the atmosphere our kids play in? Read on! The Willoughby Wildcats Junior Australian Football Club recognises that the strength of the Club community is derived from the coming together of players, parents and carers from all backgrounds to play and participate in the great game of Australian Rules Football. A key focus for the Club is all through participation in a safe environment that promotes the development of lifelong athletic, health and friendship skills over sole purpose goals of annual premiership wins. That junior players – kids- play sport for fun and gain enjoyment from playing with their friends. All Kids to have the opportunity to participate in the Willoughby Wildcats with no child turned away or denied playing opportunities due to their capability by the Club. All kids to have the opportunity of equal time on the field subject to their health and wellbeing – over their ability. No Team to be deliberately composed of a majority of kids based on a particular background, be that social, cultural, religious or educational. The grading of teams and individuals to be only accepted in age groups the AFL deem to be divisional. Kids are permitted to play out of age group to play with family/ friends; to enhance their enjoyment of AFL and sport; to match their skills level and/or development as long as they are physically capable and are not at risk of serious injury to themselves or others. We ask all new and resigning players and parents to read the AFL Code of Conduct. The Willoughby Wildcats take this code very seriously and expect all players, parents and coaches to abide by these rules. Australian Football has been played on the North Shore of Sydney for over 100 years. The first known organised club was North Shore, which was founded in 1903. North Shore continues to play in the major Sydney Competition.Little is known about Junior Australian Football on the North Shore until the formation of the North Shore-Warringah Junior Australian Football Association, which held its inaugural meeting at Forestville Community Hall on 12 March 1969. Representatives of the soon to be formed Manly-Seaforth, St Ives, Warringah and Forest Districts clubs were in attendance. These four teams competed in the first year of the Association, with teams in the Under 11’s, Under 14’s, and Under 17’s. In 1970 teams from Pittwater and Chatswood-Lane Cove joined the Association, fielding teams in the Under 11’s and Under 13’s competitions. Both Chatswood-Lane Cove teams finished last, each with one win from ten games. In 1971 that Club fielded Under 13’s and Under 15’s teams and in 1974 an Under 17’s team was added. In 1975, numbers for this new Under 17’s team were low, so they formed a combined Chatswood-Forest 17’s team with surplus Forest District boys. The Chatswood-Lane Cove team played at Gore Hill Oval. In 1975, Chatswood-Lane Cove’s last year, Gore Hill Oval was lost to Australian Football, and Chatswood-Lane Cove was forced to train at Northbridge Oval. However, they were unable to sustain enough parental support and were disbanded at the end of 1975. Rod McLean, then a first grade player with North Shore, formed the Willoughby Wallabies (as they were then known) in 1977 with an Under 13’s team. The colours were green and gold. Rod was assisted by another North Shore player, Paul Graham. They trained at Willoughby Park and played at Gore Hill Oval. An Under 11’s team was added in 1978 and an Under 15’s team in 1979. Recruiting was always a problem in those days, as players were scrounged up for the Saturday contest. In 1980 the Club was unable to field an Under 15’s team but was able to in 1981. The Club reached a peak in the mid 1980’s with full teams and some 111 registered players. But the Club soon went into a period of decline, along with the Sydney Swans. In 1990, with Club stalwarts Sue and Peter Thomson no longer being available to run the Club as their sons had passed the playing age, there was a paucity of administrators to take over. Things looked grim. Under pressure, John Lambert, the then Under 11’s coach, whose youngest son by that time was 18 or so, was press ganged into the Presidency on the basis of support from at least 5 other fathers. Some of the families from those dark days are still with the Club and it was these true believers who helped work the way forward. The Club was weak- some 35 players, and not really viable. At this time the Macquarie Club was facing similar difficulties and it was resolved that a coalition is formed to field composite sides. The strategy was to give both Clubs some breathing room to re-establish themselves. The coalition lasted 3 years until we were able to stand on our own two feet again. Since then a determined recruiting effort at Willoughby has seen us emerge as a strong force in the Sydney Harbour competition. The Club continues to produce outstanding footballers who have gone onto State, representative and senior level. Our first player to make the Swans is Lewis Roberts-Thompson who was drafted by the Swans from the NSW-ACT U18s with the 29th selection in the 2001 AFL Draft. Auskick, for players 6 to 8 years of age, has emerged as a strong part of Willoughby Club, with an extensive recruitment of players through local schools. In 2011, the Willoughby Junior Football Club and Mosman Junior Football Club decided to put joint venture (JV) teams in place for the older age groups. The clubs believe the ability to field between 2 to 3 teams across the divisions in each age group provides the right levels of competition for the varying levels of talent and contributes to both clubs objective to maximize the number of juniors playing AFL. We also believe this joint venture can provide more focused development of our playing group and closer link and pathway into senior AFL football. JV teams exist for the Under 13 – Under 17 age groups in 2014. The teams are known as the Willoughby Mosman Swans and play in red white and gold jumpers. Fast forward to 2017 and the Club is booming and with the redevelopment of Gore Hill set to be completed in time for the 2018 season. The challenge is to continue to develop the infrastructure of the Club so that the Club remains strong, both on and off the field, whilst also ensuring that the Club’s values to develop the character of players in a spirit of good sportsmanship in a family atmosphere remain the Club’s pre-eminent focus. The Club is looking to nurture and develop as many footballers as possible. All boys and girls are welcome.Although the Club is now strong financially, the Club continues to require the assistance of as many parents and supporters as possible to contribute and get involved with our great game. Don’t wait to be asked- pitch in and help.